If you press a magnet, its magnetic orientation will not change. In other words, mechanical stress cannot govern the orientation of the magnetization (north or south), although it can be used to govern its direction or magnitude. In our recent paper published in Applied Physics Letters, we describe a strategy to avoid this fundamental bottleneck. 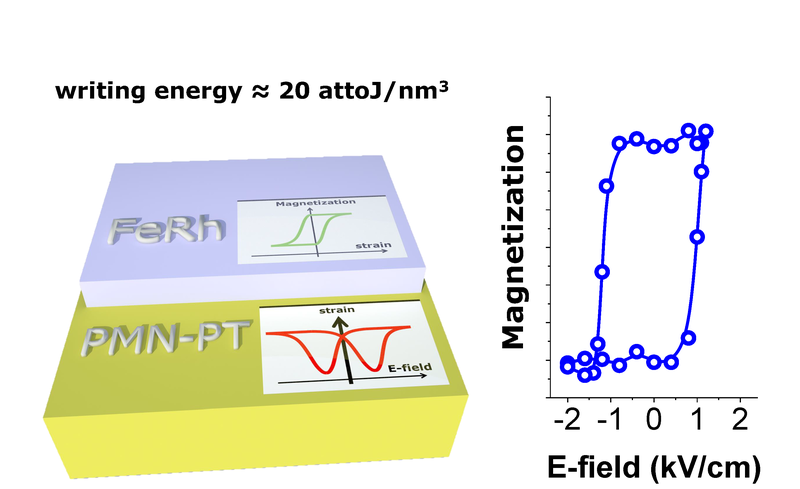 We use our strategy to achieve large magnetization variations by external electric field, which applied to a piezoelectric material (PMN-PT) adjacent to our magnetic material (FeRh) is transformed into mechanical stress.